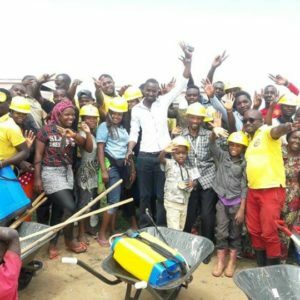 In 2016, American Refugee Committee held a first of its kind event in Kampala, Uganda, celebrating the ingenuity and creativity of refugee youth from Nakivale Refugee Settlement. That event sparked an idea – a joint project with the American Refugee Committee and Rotarians from Uganda and Minnesota to launch the first ever Rotaract Club in a refugee camp. The idea was simple, but the impact could be huge. Nakivale Rotaract Club became the first Rotaract Club to be established in a refugee settlement in June 2017. Currently there are 26 members representing 3 countries. The Nakivale Rotaract Club is a true example of the change that can be sparked from just one idea. And Nakivale Rotaractors are passing on that change to their community by being people of action. In partnership with American Refugee Committee, Nakivale Rotaract Club is celebrating their one year anniversary by launching a “Year of Action & Inspiration”. Motivated to do the doable, they’ll bring community generated ideas to life through 52 weeks of projects. The “Year of Action & Inspiration” launched on World Refugee Day 2018 – June 20 – when refugees, Ugandans, Rotarians and ARC came together for a 5K run like no other. Over 1,000 runners submited their own project ideas to register. Every project idea will be displayed in the community and every week throughout the year another idea will be implemented by the Nakivale Rotaract Club and ARC. These Rotaractors desire to take action in their community as well as to be the inspiration for other refugee youth, with the goal to expand the reach of Rotaract to other communities and refugee settlements. Empower Rotaractors to transform refugee community ideas into action, creating real change every week of the year. Each $500 contribution will provide for one community project to be carried out by Rotaractors in a refugee settlement. Give online here or mail donations to: American Refugee Committee, 615 First Avenue NE, Suite 500, Minneapolis, MN 55413. *Checks should be made payable to: American Refugee Committee. *In the interest of the Nakivale Rotaractors’ safety, ARC is acting as a financial conduit for the Club and providing procurement and logistical support for their “Year of Action & Inspiration”. Contact Amanda at AmandaO@ARCrelief.org to learn more! 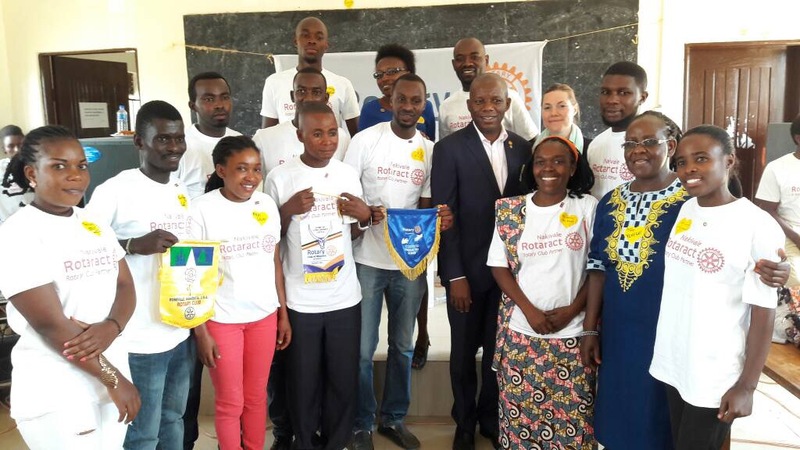 NAKIVALE ROTARACT CLUB was inspired by the vision of Ugandan Rotarians, including the late Sam Owori, onsite expertise of American Refugee Committee, and the motivation of local Nakivale youth to serve others. Rotary International made history on June 21, 2017 when the Nakivale Rotaract Club became the first chartered Rotary entity in a refugee settlement. The past year has been life-changing for these new Rotaractors. Living in a refugee settlement can often be an isolating experiencing. It’s difficult to connect with the people and places you left behind, not to mention how hard it can be to make new connections and create opportunities for yourself and your community. Through Rotaract, the Nakivale Rotaract Club has connected with Clubs and Rotarians throughout Uganda and the world. Rotaract has broadened their world of possibilities and brought their goal of strengthening their own community within reach.